You already know we've got a thing for stationery stores and SV August 15th is a fine gem in Gachibowli. This stationery and fine arts store is where both beginners and advanced artists can pick their art supplies. 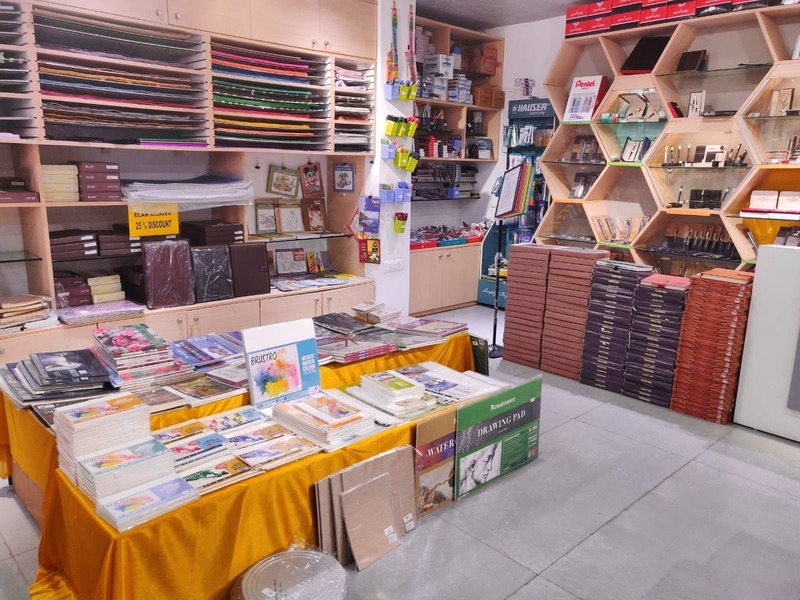 Touted as one of the swankiest art supply stores in Kondapur and Gachibowli, we've spotted charcoal drawing pencils, Kohinoor shading pencils, glue pens, acrylic colours, powders like sepia, graphite, charcoal at this store. The face-painting sticks in plain and neon colours are quite a saviour when it comes to themed parties or fun college fests. They have plenty of notebooks that include books with ikat covers, suede and leather jacket cover, pages made from pure cotton pages, knit books, and more. Lots of pens, markers, glitter glues, and Washi tapes will appease the stationery fiend in you. The second floor of SV August is more of a storage space where you can pick a whole lot of coloured papers, gift wrappers (they have suede, lace, and translucent ones), canvases, easels, post-its, sequins...the list is endless. If you need canvases in any certain size, you can place an order. For large orders, they offer wholesale prices too. We can never get enough of art supplies. Perhaps some more professional art supplies will make this store our constant.